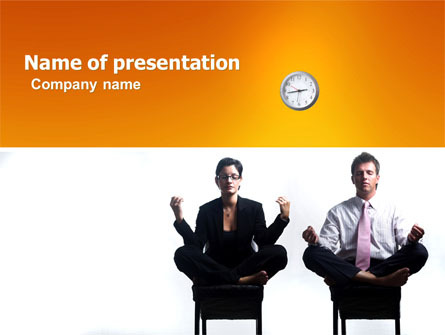 All about presentations, tips, tricks for PowerPoint and all around them. Brenda Scottsdale is a licensed psychologist, a six sigma master black belt and a certified aerobics instructor. She has been writing professionally for more than 15 years in scientific journals, including the “Journal of Criminal Justice and Behavior” and various websites. To some people, speaking in public is an exhilarating, satisfying experience. Others become nervous, nauseated and sweaty at just the thought of public speaking. While nervousness can help motivate and energize you, too much anxiety is counterproductive. Often our fears are overblown; an article on the Stanford University website recommends preparing for the worst possible scenario so anything that actually happens on speech day won’t seem so bad. Give yourself weeks to prepare, so you can focus on the material, rather than your feelings of nervousness. Know much more about the topic than what you plan to cover during your speech. Rehearse until you are thoroughly familiar with your speech. Familiarize yourself with the room in which you’ll be speaking and, if possible, rehearse in that room so there won’t be any surprises on speech day. Warm up physically before you begin to speak. According to speech experts at Stanford University, physical movements, such as walking or arm circles, will help dissipate your nervous energy. Ensure you get enough sleep and eat nutritious meals in the days leading up to your speech. Taking care of yourself physically will help you be more resilient and feel less nervous. Pretend you are speaking to a group of close friends and colleagues rather than a group of strangers. Your tone will be more conversational and engaging. Greet your audience before you formally begin your speech. After the greeting pause briefly, slowly count to three, and then begin. This tactic will help you calm down and prepare you for the task ahead. Once you start to speak, pause and breathe deeply if you feel your anxiety increase. Realize that your audience most likely wants you to succeed. It wants to laugh and be entertained. Imagine delivering the most exciting, engaging and stimulating speech of your entire life. Toastmasters recommends using visual imagery to conquer feelings of nervousness. Remind yourself that your audience is likely unaware of how nervous you feel. Apologizing when you stumble over a word will likely draw attention to an aspect of your presentation that they probably didn’t think was a big deal. Forget your technique, stance and delivery style. Relax, have fun and be yourself. Focus on what you are saying, rather than preoccupying yourself on minor details such as hand gestures, eye movements and facial expressions. This entry was posted in presentation tips and tagged presentation, public speaking on September 28, 2015 by pptstar. What is an original way of making a mindblowing presentation for school? What is the craftiest way to dodge a question during a presentation? Public Speaking: What are great ways to perfect one’s presentation skills?